Our new schedule is going to be great. Trust us, it will be worth the wait. Thanks for your support during this time of transition. Our collaborative enthusiasm for the upcoming changes will be wonderful for our Elite community spirit. 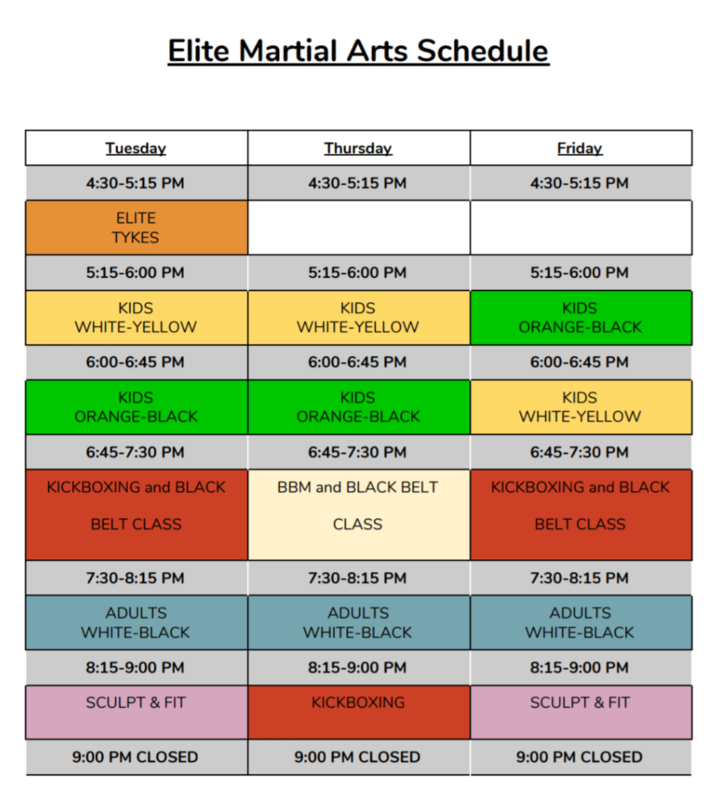 Please feel free to contact the dojo at (613) 834-0802 for information about our upcoming changes. We will try our best to answer questions in a timely fashion while we make ourselves a little better.